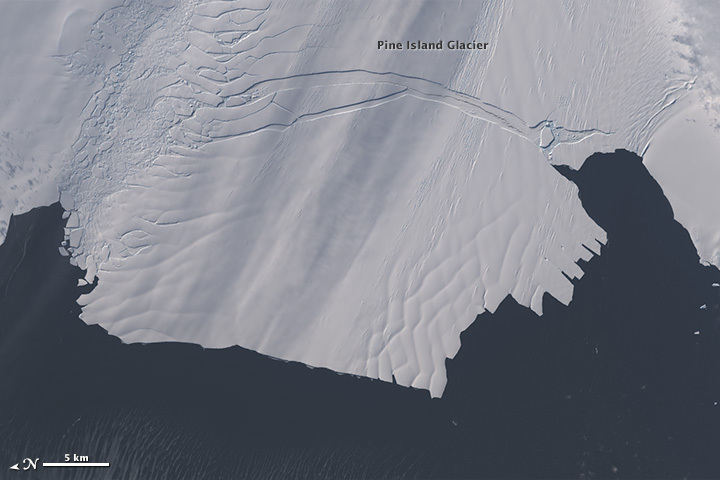 Between November 9–11, 2013, a large iceberg finally separated from the calving front of Antarctica’s Pine Island Glacier. 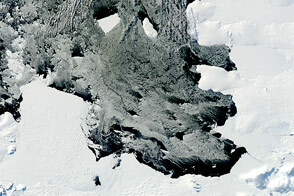 Scientists first detected a rift in the glacier in October 2011 during flights for NASA’s Operation IceBridge. 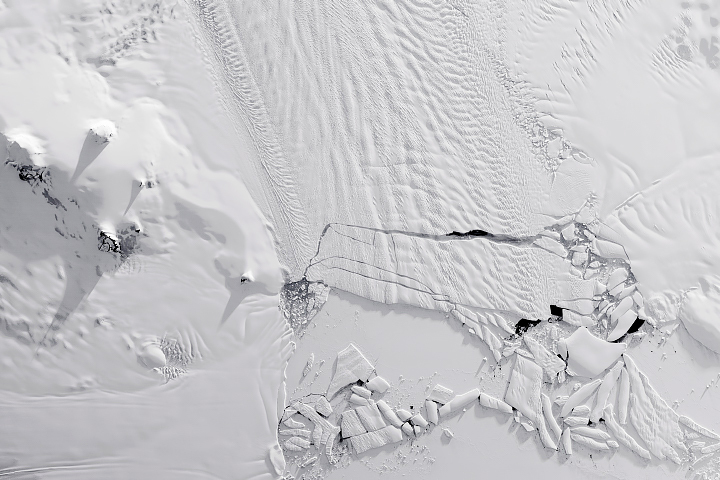 By July 2013, infrared and radar images indicated that the crack had cut completely across the ice shelf to the southwestern edge. 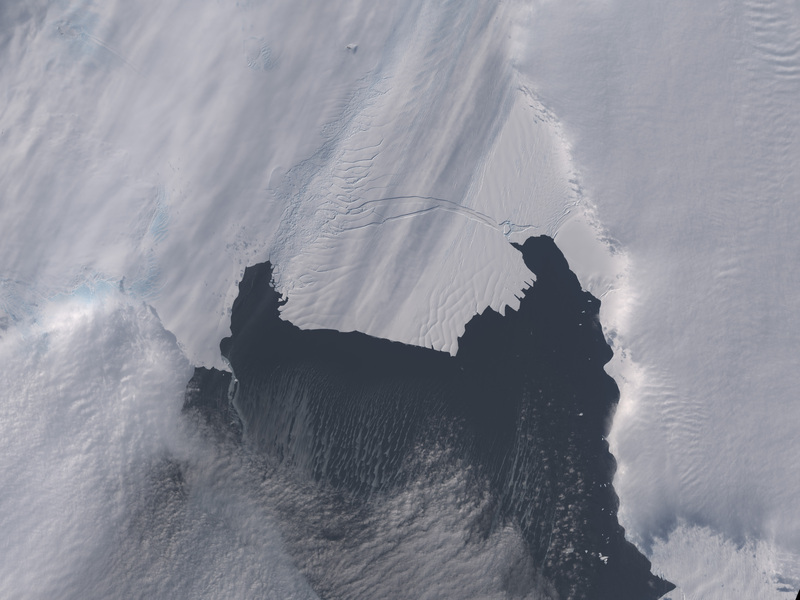 New images now show that Iceberg B-31 is finally moving away from the coast, with open water between the iceberg and the edge of Pine Island Glacier. 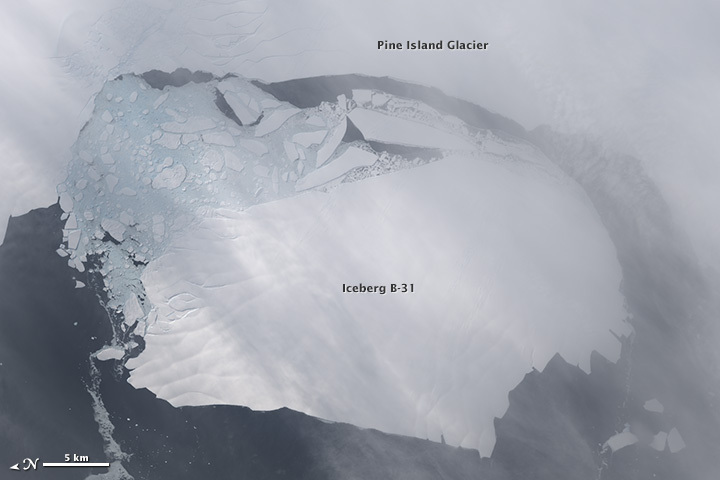 The Operational Land Imager on the Landsat 8 satellite acquired natural-color images of the iceberg in Pine Island Bay on November 13 and October 28, 2013. 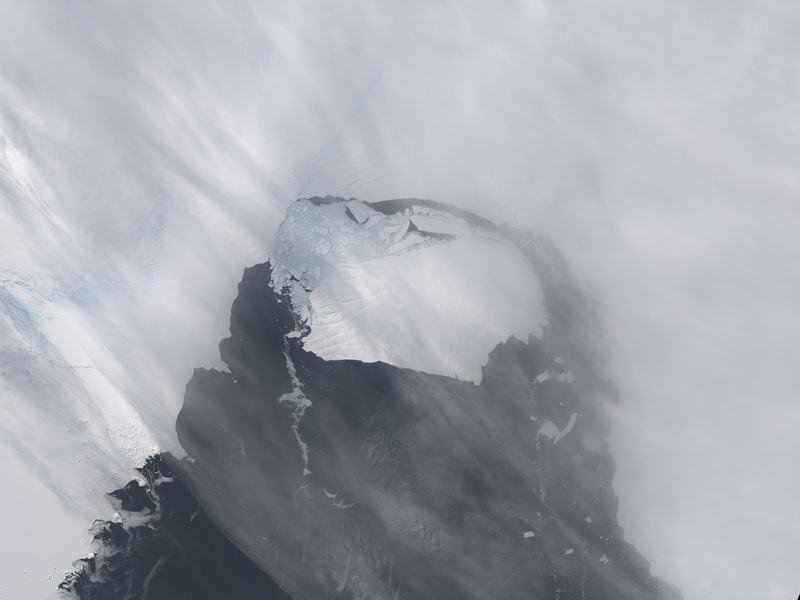 Clouds and fog make the November 13 image a bit hazy, but the open-water gap between the iceberg and the ice shelf is still apparent. 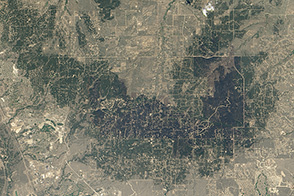 Click here for a wider view of the iceberg from November 10, just after the separation. 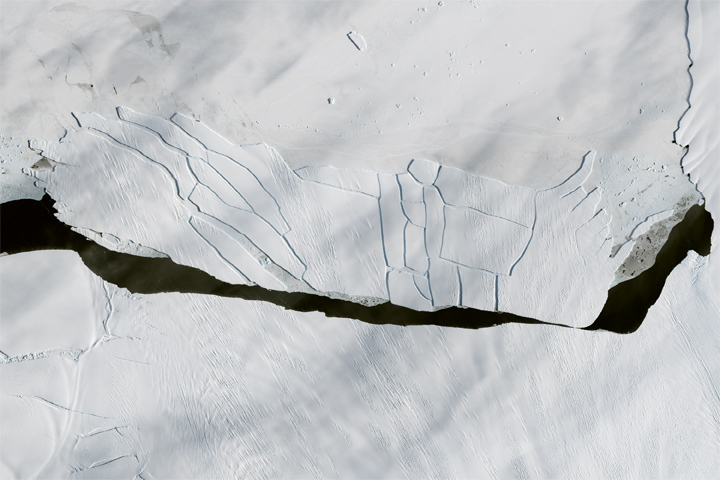 Which way it goes depends on the vertical shape and depth of the iceberg, according to NASA scientist emeritus Robert Bindschadler. 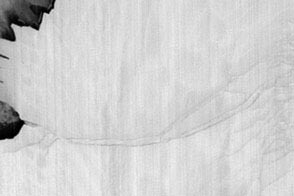 “Where it is going depends on the deeper currents into which its keel extends,” he said. 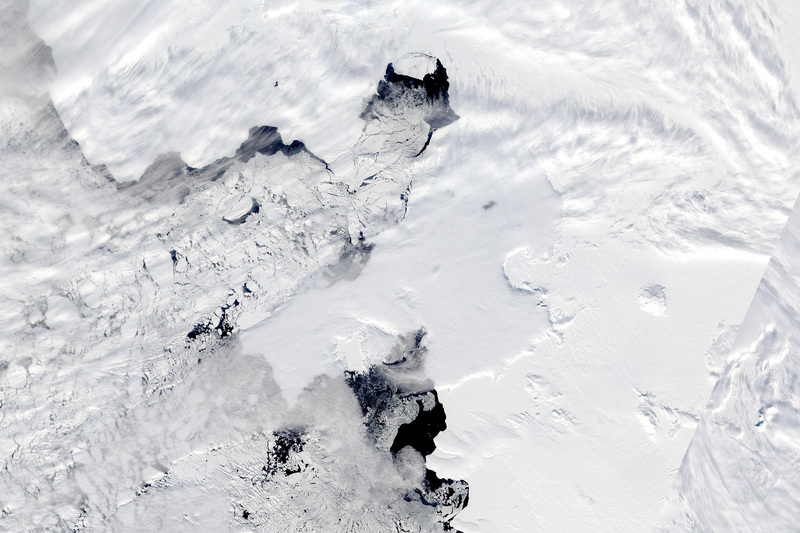 Researchers have found that larger icebergs with deeper keels tend to drift with the deeper, cyclonic circumpolar current, while sea ice and smaller bergs with shallower keels tend to drift with the coastal counter current. 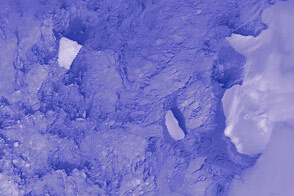 Landsat 8 captures a view of the ice separating from the ice shelf.